Rob Lowe, the star of a number of controversial DirecTV ads, has defended the commercials after Comcast complained about them. The ads came under fire this week after the Better Business Bureau recommended that DirecTV (DTV) discontinue the spots, because the satellite TV company couldn't substantiate many of the claims they made. The ruling came after Comcast (CMCSA) took issue with the commercials. Lowe weighed in sarcastically on Twitter on Wednesday: "Recent events have underlined my belief that for something to be truly original, funny and subversive, there must also be fallout. #Life"
In the ads, the actor plays various awkward versions of himself, including a Rob Lowe with scrawny arms, "painfully awkward" Rob Lowe, "super creepy" Rob Lowe, "far less attractive" Rob Lowe and "meathead" Rob Lowe. At the end of the commercials, the normal DirecTV version of Lowe says, "Don't be like this me. Get rid of cable and upgrade to DirecTV." DirecTV claims in the spots that its service gets 99% signal reliability, up to 1080p HD programming, better picture and sound quality than cable, more sports programming than its rivals and shorter customer service wait times than its cable competitors. It also said it was rated No. 1 in customer satisfaction. 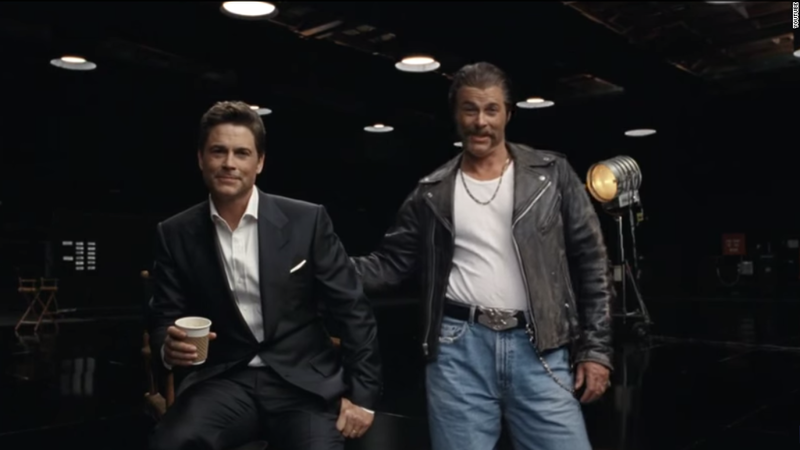 But the Better Business Bureau National Advertising Division review board said it found no supporting evidence to substantiate the "far less attractive" Rob Lowe commercial's claim that DirecTV has better picture and sound quality than cable. "Scrawny arms" Rob Lowe also claimed DirecTV has more sports programming, but the NAD said that was unsupported, too. The review board said DirecTV failed to explain how it arrived at its customer service claims and even took issue with the commercials' statement "don't be like this me," because it "conveyed a comparative and unsupported superiority message." It did, however, find that DirecTV's message of 99% signal reliability and "up to 1080p" picture were solid. DirecTV is appealing the claim that the ads are deceptive.